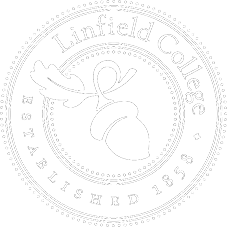 Seven of the top Lincoln scholars in the country will highlight a conference, “The Political Thought of Abraham Lincoln,” May 8-10 at Linfield College. The conference is the culmination of a traveling exhibit, “Lincoln: The Constitution and the Civil War,” which has been on display in the Jereld R. Nicholson Library April 2-May 16. Read this McMinnville News-Register story. 201 Riley, Professor Dorothy Ross (Arthur O. Lovejoy Professor Emerita, Johns Hopkins University) and Professor Manisha Sinha (Professor of African-American Studies & History, UMass-Amherst) will participate in a panel discussion on historical research. 222 TJ Day, Professor John Stauffer (Harvard University), Professor Michael Zuckert (University of Notre Dame) and Professor John Burt (Brandeis University) will participate in a panel discussion on thinking and writing about questions of justice and virtue. 5:30 p.m.: Opening lecture, Nicholson Library — Professor John Burt (Brandeis University) will speak on his new book, Lincoln’s Tragic Pragmatism (Harvard University Press, 2013). Professor Burt’s book has been widely acclaimed as one of the most significant contributions to the study of the Lincoln-Douglas debates ever produced. 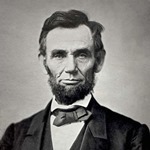 Speakers will present lectures on Lincoln, the Civil War and the political thought of that era. See a complete list of speakers. The exhibit explores how Lincoln used the Constitution to confront three intertwined crises of the war — the secession of Southern states, slavery and wartime civil liberties. The wall-sized, free-standing panels are covered with pictures, illustrations and text that describe the life and accomplishments of Lincoln. The exhibit was organized by the National Constitution Center and the American Library Association Public Programs Office and made possible by a major grant from the National Endowment for the Humanities. “Lincoln: the Constitution and the Civil War” is based on an exhibition of the same name developed by the National Constitution Center. The conference is sponsored by Linfield College Nicholson Library and the Frederick Douglass Forum on Law, Rights and Justice. All of the events are free and open to the public. For more information, contact Susan Barnes Whyte, director of Linfield Libraries, 503-883-2517.